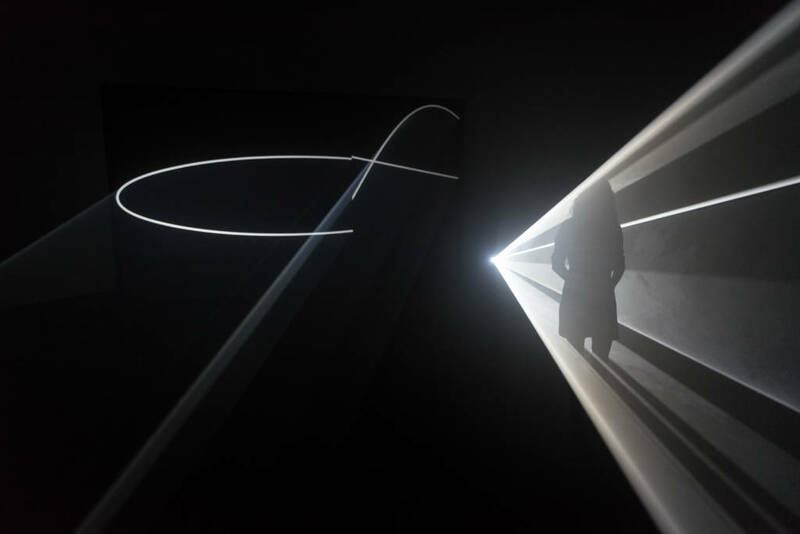 Anthony McCall is a British-born artist based in New York, famous for his ‘Solid Light’ exhibitions. His work has greatly influenced mine, particularly my autumn term practice. This post serves to outline what he does and how his practice informs mine. Shown above is Anthony McCall’s installation, “Solid Light Works.” Only a glance of this gives an impression of how beautifully ethereal the piece is. We think of light as something that is impossibly fast and completely intangible, so this piece completely challenges our perception of light. Adding the smoke effect transforms it into something solid, almost an object. Viewers of this piece are allowed to walk through the light and interact with it, giving it an almost performative aspect.